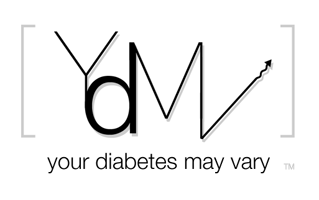 Your Diabetes May Vary: For Anonymous - ANC Sigma Telegrams. Some anonymous soul (and this is YDMV, I can understand the desire NOT to associate one's name with it) commented on the Mark Fox clip about another of my videos on Vimeo. A clip of kids singing. Here's more and the back-story. For those of my YDMV friends that aren't alumni of the Academy of the New Church and I expect that is most YDMV readers, it is a private, church (no kidding it is in the name) school in Bryn Athyn PA. It is at times a very impressive place and no time more than when the kid's clubs send each other singing telegrams. There are four clubs, two boys, two girls, one dorm kids one local kids of each. Twice a year the clubs have banquets and send each other telegrams. Connor joined his club's (Sigma!) telegram troupe this year. I shot some video so Kelley up at NYU could see him. Well some alert YDMV reader (and yes I consider that an oxymoron) somehow spotted that clip on theBetesNOW's Vimeo channel. I was very embarrassed, the quick post edit work was beyond pitiful but I found this and at least the kids heads aren't cut out of frame. Reece is the Sigma President, a fine football player and sings the opening solo. Behind him is a guy with a triangle, Greg. He is the song leader and worked out the arrangements. Greg can do things with a fiddle that brings a tear to the eye. The soloist in the second song has committed to serve our nation in the military. Great kids, mine's OK too. So there are some very diverse interest pooling their talents. As an ANC alumni, Sigma member and dad I'm proud of these kids for a lot more reasons than you can see but all the ones you can see on the clip too. haha THANKS! I was the "anonymous" user earlier, mainly because I didn't see there was an option to add your name without being a registered user until right now (oops). Anyway, thanks for the clip, both made me smile. BTW I think I can fix the first one and will add it to this video. Should take about an hour of rendering, come on back later. These guys are awesome! I assume they are fans of On The Rocks, as I am? The original video is fixed, heads re-attached and on the tail end of the clip as song 4. You're awesome :) BTW, I'm going to be down in Philly in a few days for a grad school interview...any tips or suggestions about the area? I probably am not the bets source of fun places to go play but what school maybe I can at least help put it in the perspective of what around where you will be.